Tired of wasting precious vacation time waiting on others? Wanna travel on your own terms? If so, knowing how to rent a car in Spanish is a skill you’ll definitely want to have mastered when you visit a Spanish-speaking place. While going on a tour can be fun sometimes, you usually end up following someone else’s schedule, not spending enough time where you want to, or spending too much time where you don’t. 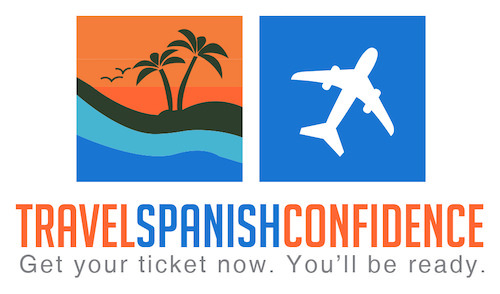 So today we are going to give you the tools and confidence to rent a car in Spanish. All phrases on this page are included in our video “How to Rent a Car in Spanish.” Make sure you check it out and practice them a few times before your trip and you’ll be ready to get exploring. Getting a Quote and Making a Reservation by Phone. “Necesitamos uno económico.” - “We need an economic one”. “Impuestos, kilometraje libre, y daños a terceros.” - “Taxes, unlimited miles or kilometers, and third-party liability insurance”. “Estoy llamando para confirmar una reservación.” - “I’m calling to confirm a reservation”. “Se encuentra confirmada su reservación.” - “Your reservation is confirmed”. Talking on the phone is probably the hardest thing you'll ever have to do when speaking a foreign language, but with practice you'll be miles ahead of the game. So get practicing!